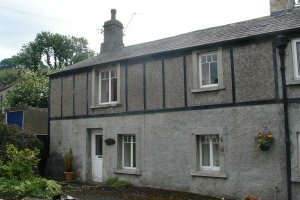 Originally constructed as a barn, this cottage in old Settle has been converted to a row of cottages prior to the linking of two of them amalgamating in a single dwelling. 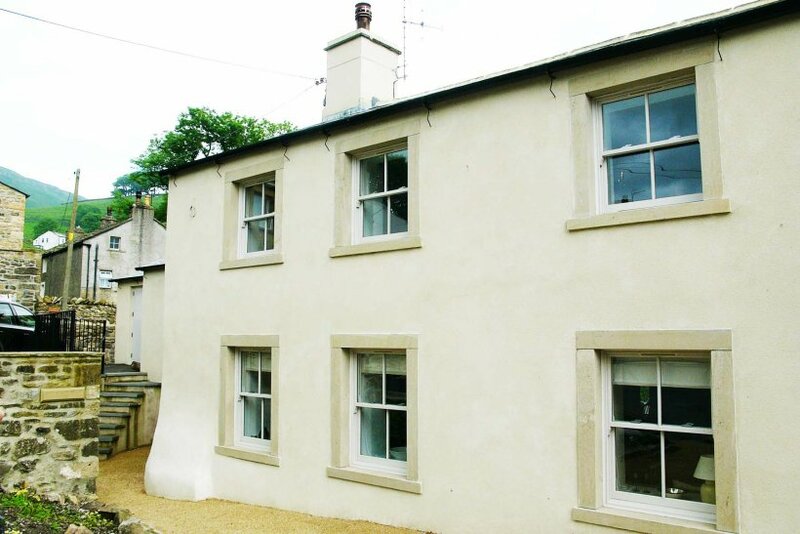 Something of a landmark in the streetscape on account of the hard cement pebble dashed render and concrete half ‘timbering’ the was damp, cold and miserable! 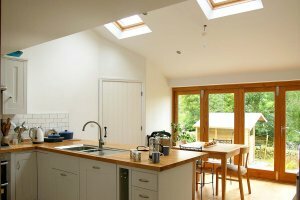 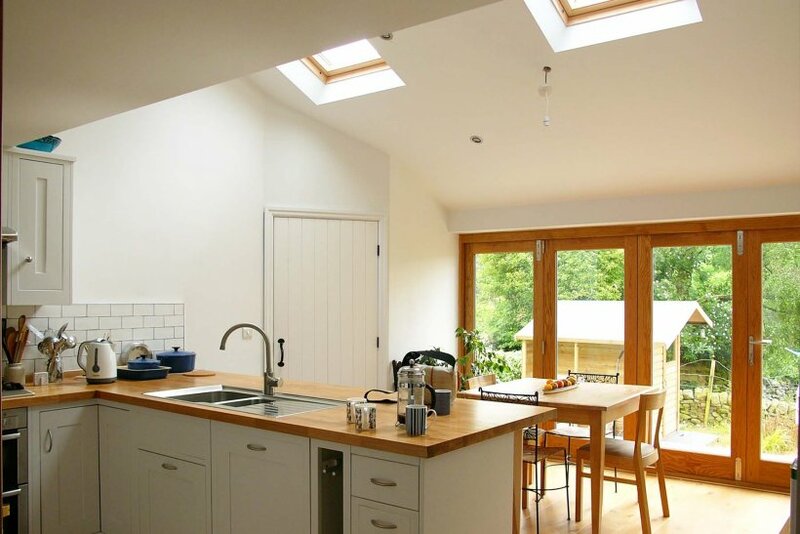 We were tasked with re-planning the internal layout and designing an extension to incorporate a kitchen dining space, new bathroom, accessable ground floor shower room and an integrated garage. 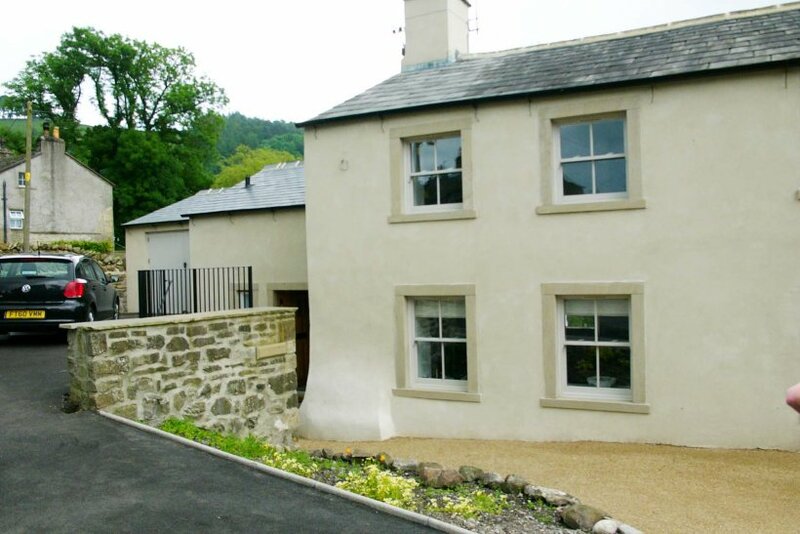 An over arching objective was to unify the elevations to improve the kerb appeal. This was achieved by altering the fenestration, installing new stone detailing and re-rendering the house in a breathable lime render. 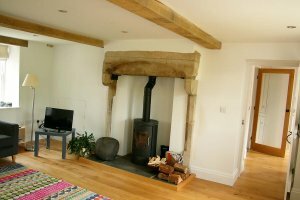 The result is a light, airy, warm, dry and attractive cottage which now makes the most of spectacular views of the Dales scenery. 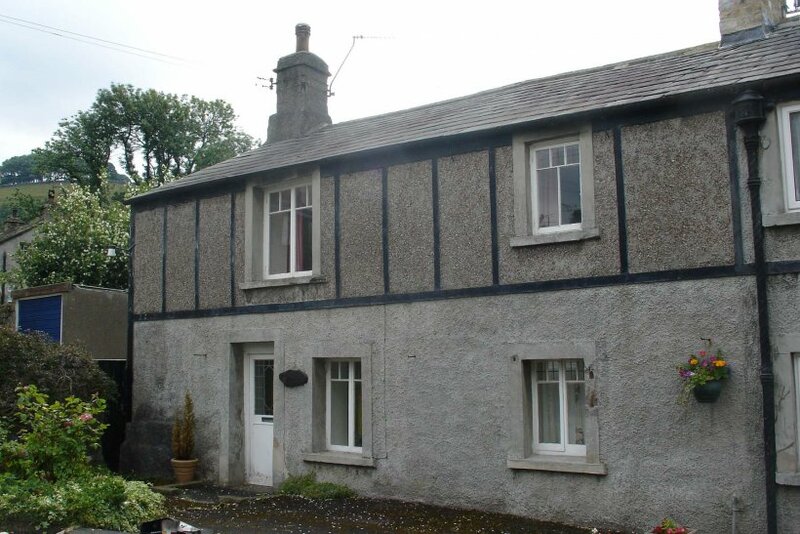 Our very happy client now has a wonderful retirement ‘all of life’ home.